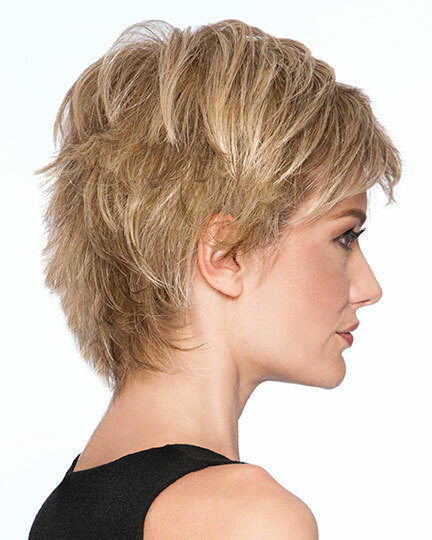 Front:4.0", Crown:4.5", Side:3.25", Back:3.0", Nape:3.5"
Spiky Cut by HairDo is a carefree short, textured-layered shag with a collar-length back. 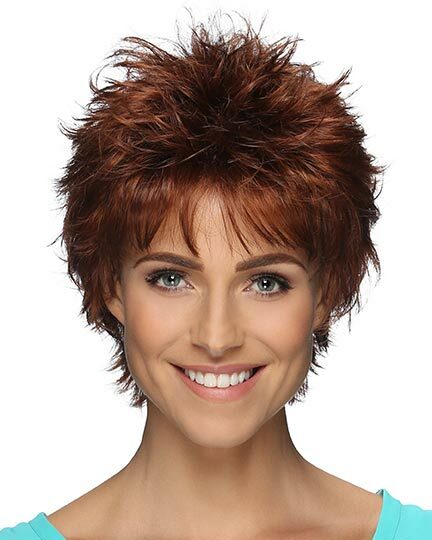 The Spiky Cut wig�s expertly textured ends give this layered cut its modern edge. 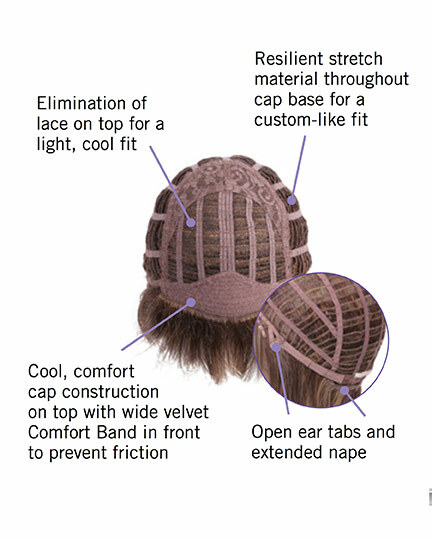 HairDo Spiky Cut wigs feature a standard cap construction with comfort elements that include a wide velvet front rim to prevent friction, open ear tabs and resilient stretch material throughout the base for a custom like fit assuring all day wearing comfort. 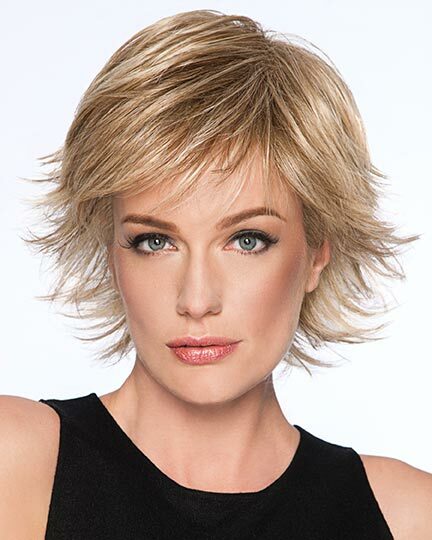 Spiky Cut's special Tru2Life heat-friendly synthetic hair can be flat ironed, curled or blown dry using thermal styling tools up to 350˚F/ 180˚C. 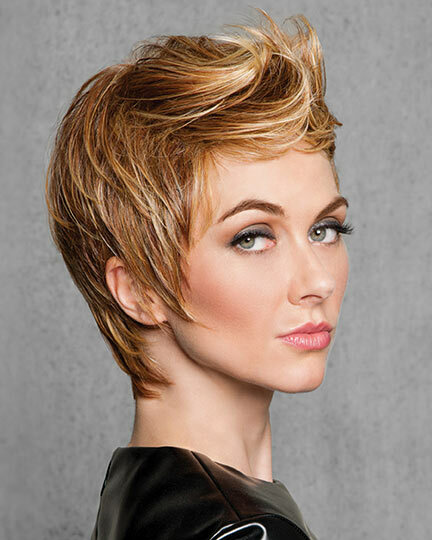 Each hand-blended color is made up of 7-11 different shades, resulting in a natural look that blends with just about anyone's hair color. The second color way shown of Spiky Cut is SS14/88H. 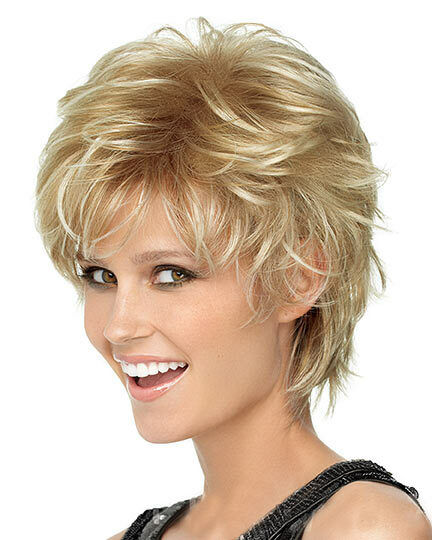 The Spiky Cut wig weighs 56.7 grams. 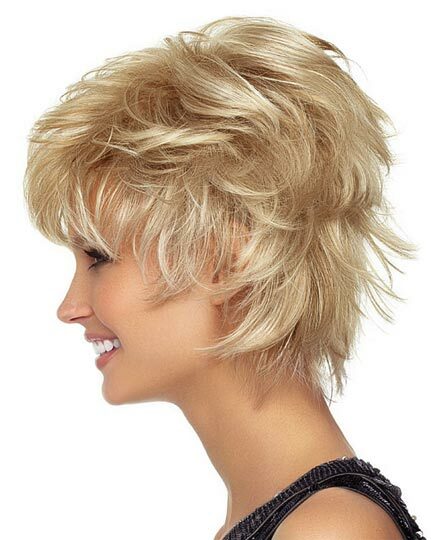 - Hang to air dry or use a blow dryer on a low setting. 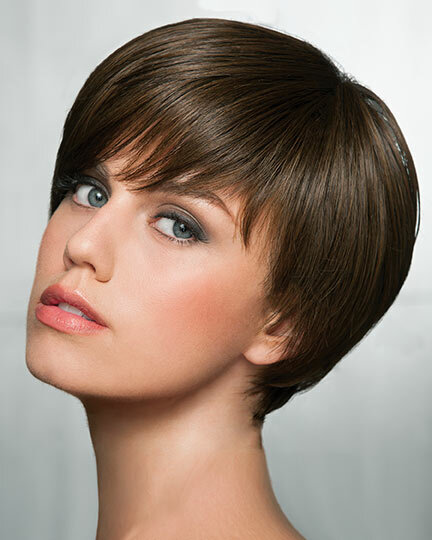 - Unlike your own hair, Tru2Life fiber only sets after it cools. So keep the curl shape until it's cool, then release! 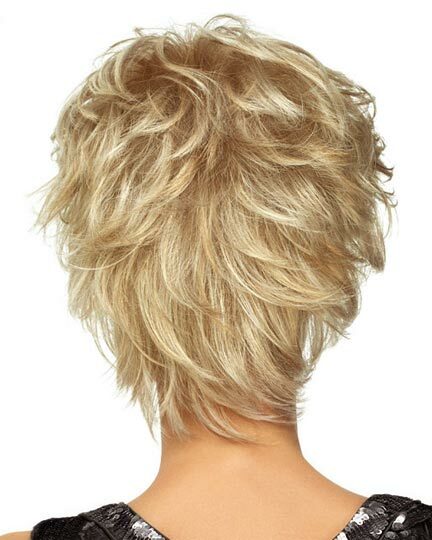 There are 1 colors available for this SPECIAL PRICE on Spiky Cut. 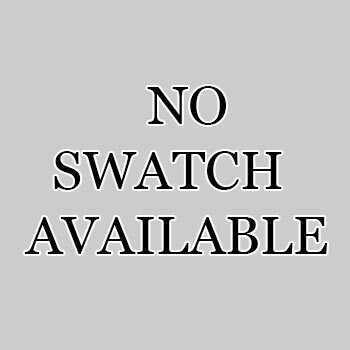 To Buy Spiky Cut, Click On A Small Swatch Below. 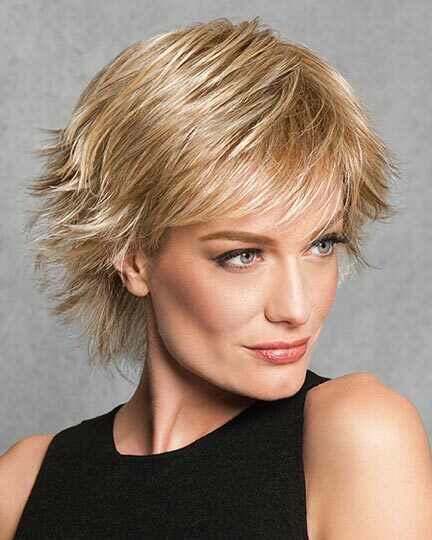 If you would like to discover other products that share some of Spiky Cut's qualities try the links below. Used the color swatches, but, still ended up too light. Fits well and looks natural. 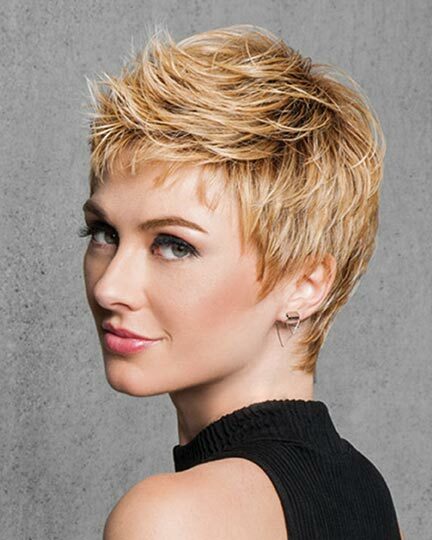 I would need to have my stylist trim the bangs to customize it if I was going to keep it. 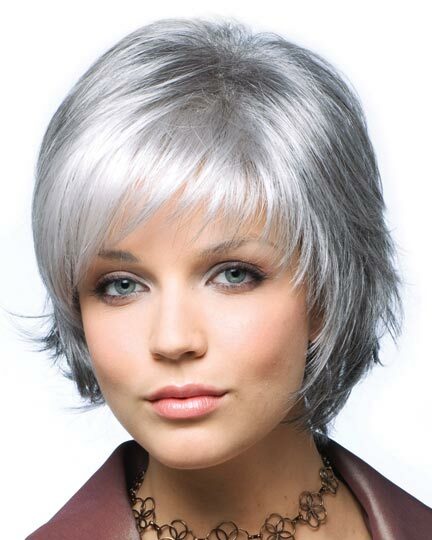 Going to get a different color and look forward to having an alternative on 'bad hair' days!